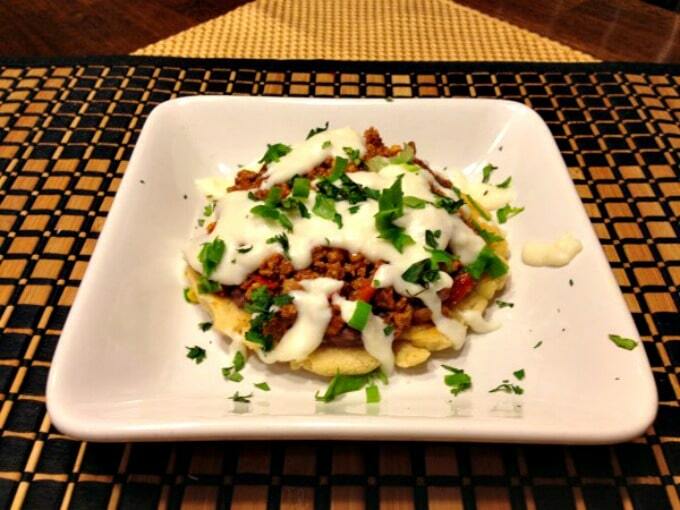 If you like Mexican food you will love my Mexican Ground Turkey Sopes. Seasoned Ground Turkey and veggies served on authentic sopes. This recipe is the second in my Cinco De Mayo series. For your appetizer see my post for Mexican Black Bean Dip and my dessert of Mexican Cheesecake Flan Brownie. This recipe is a twist on basic taco meat filling. I use ground turkey quite often in our house and I am always looking for ways to use it instead of beef. The little sweet peppers used in this recipe are awesome. I found them at my local Kroger’s produce department. I made an authentic Sope (pronounced “SOH-peh”) as the base for the filling. Sope is as popular in Mexico as is the tortilla and is made with the same ingredients. It is a thick, hand formed type of tortilla, with the edges crimped into a shallow bowl, when fried it becomes a container for lots of different fillings. It will take you a few times to get the thickness right. If you don’t have the time or patience for Sopes, this filling works great for tacos or enchiladas. 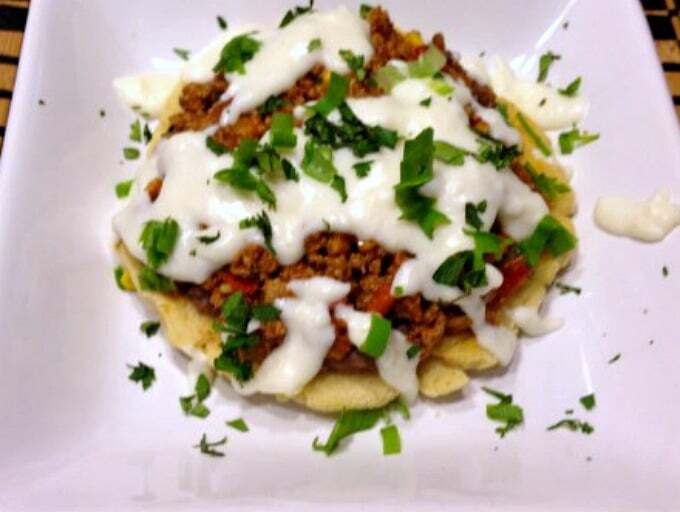 I will be bringing my Mexican Ground Turkey Sopes recipe to Freedom Fridays, Friday Favorites, Fiesta Friday, Weekend Potluck, What’s Cooking Wednesdays. Checkout my Link Parties page for other great places to find new recipes. Preheat the oven to 200°F. Line a baking sheet with paper towels. Put the masa harina in a large bowl. Mix on low with until mixture forms a ball and pulls away from the sides. It should take only a minute or two. You want a nice, moist dough, so work in a little more warm water if it's dry. If it's sticky, work in a little more masa harina. Separate the dough into four equal pieces and roll each one into a ball. Put the balls on a plate and cover them with plastic wrap to keep the dough from drying out. One at a time, roll them out with a rolling pin or clean wine bottle until they're a thin circle about 1/4-inch thick. Add a little of the oil in a skillet or griddle and heat it over medium-high heat until hot. Carefully add the first sope and cook it until little brown blisters appear on the bottom, about 45 seconds. Flip it over with a spatula and cook for another 30 to 45 seconds. Flip it over again, count to 10 and transfer to the towel-lined baking sheet. 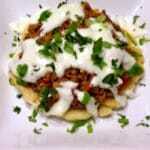 Top warm sopes with a layer of black refried beans, topped with the meat filling. Add other toppings of your choice. -"Sope recipe modified from: http://www.foodnetwork.com/recipes/aaron-sanchez/sopes-recipe/index.html?oc=linkback"
Cinco de Mayo is a holiday we don’t have in the UK (for obvious reasons!) but I so wish we did! Any excuse to eat Mexican food is fine by me, and this dish looks yummy! 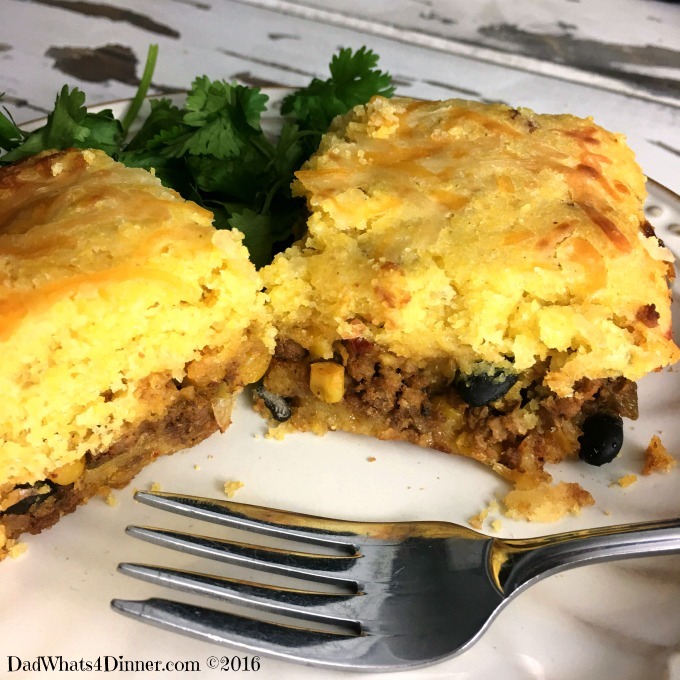 I’d already planned my meals for this week but I am totally going to have to change everything having seen some of these great recipes at the Fiesta! Thanks for sharing! Thanks for taking the time to comment. Let me know how it goes. No need for a holiday to enjoy good Mexican food. Cheers!!! I quite agree with that! And I need to be more adventurous than fajitas! I love Mexican dishes! This dish sounds so flavorful. I cook once in a while with turkey and you have to have a great flavor profile because it can be bland. Perfect for this dish! Thanks. Very yummy and easy. The trick with using ground turkey is to season while you are browning the meat. I use it or a mix of turkey and beef often. Looks so delicious and healthy too! 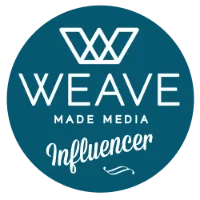 I am really digging your blog! 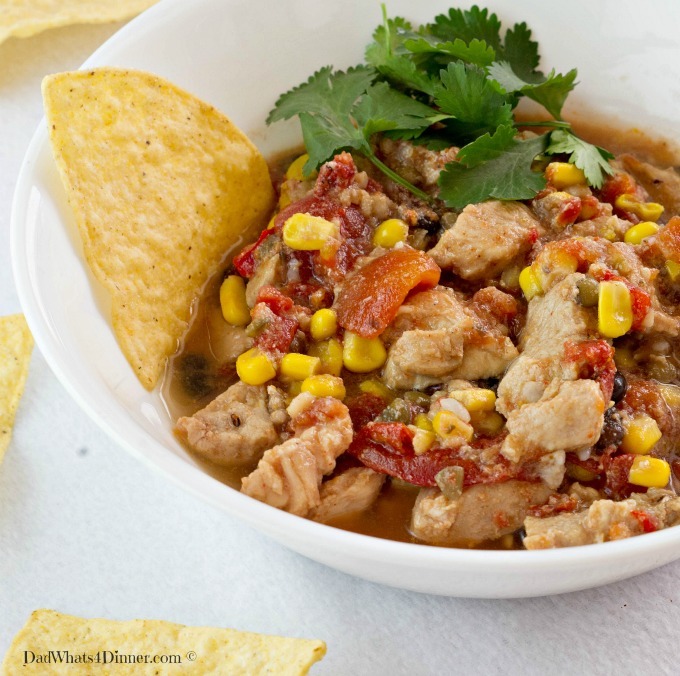 So many great recipes, glad I found you on Fiesta Friday, looking forward to following along! Thanks for stopping by and taking the time to leave a comment. I try to create unique recipes from everyday food. It’s basically what I feed my family and friends. Happy FF!! Thanks for the tips! I’m not very into networking so probably won’t be too zealous! Happy to hear they let you back in anyway.. 🙂 I’d already signed up with my blog name… oops. Will see… Have a great weekend too! No big deal. Just follow the rules. I’m not a big fan of reddit but it does drive traffic. More helpful Pinterest discussion coming up tomorrow, Quinn! Hope to see you @FF67!